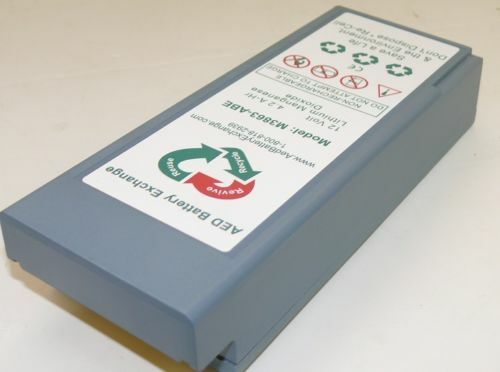 FDA CLEARED M3863A FR2+ AED replacement battery for Philips FR2+ Defibrillator. We Replace the internal cells in an expired pack with new cells, reset the electronics and buff the outside of the housing to like new condition. We use the same internal cells AED manufactures to use. This process results in a REMANUFACTURED Pack. Are these REMANUFACTURED batteries as good as the Originals? THEY ARE BETTER - They are GREEN, much lower in cost and contain the same internal cells as the original. What kind of Warranty Do these GREEN packs have? These Remanufactured Packs are FDA Cleared as a CLASS III medical Device. ( THE FDA has determined that these packs are equivalent to OEM.